The NERS Exercise after Stroke Intervention provides an opportunity for patients to attend a group evidence based exercise programme based on evidence from the Cochrane review of physical fitness training for stroke patients (Saunders et al 2009) and the random controlled trial (Mead et al. 2007) designed to improve mobility and quality of life and led by Level 4 Specialist Exercise and Fitness Training after Stroke course, developed by Queen Margaret University and University of Edinburgh and administered by Later Life Training. The scheme is targeted at clients who have suffered a stroke and been assessed by a health professional to ensure suitability for a community scheme; these clients may be continuing to receive active therapy which will run simultaneously alongside NERS intervention; this must be recorded on referral form. 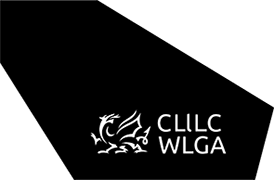 The scheme has been supported by the Welsh Government, Welsh Local Government Association, Later Life Training, Chartered Society of Physiotherapy, Local Authorities, Public Health Wales and Local Health Boards.